Preheat oven to 400°F. 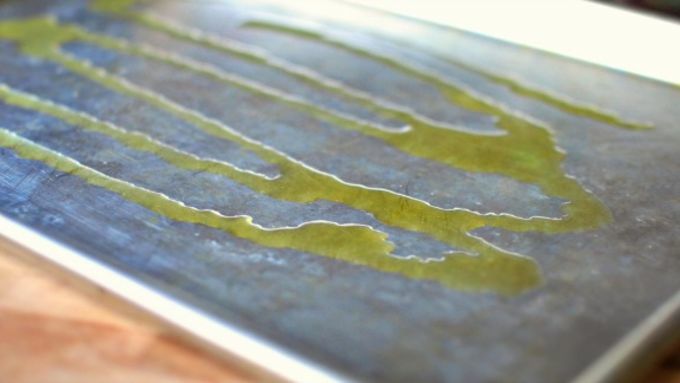 Drizzle a rimmed metal sheet pan with olive oil. 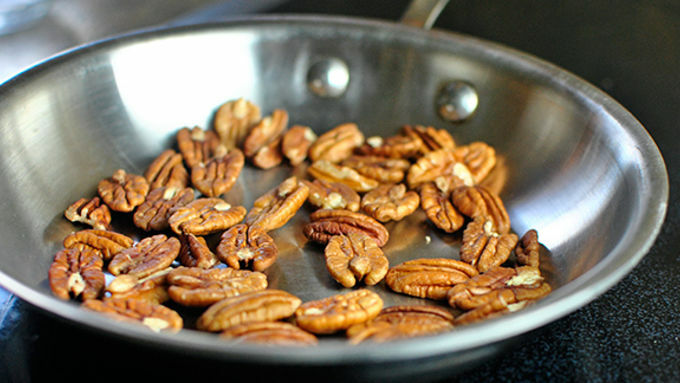 Toast pecan halves in a dry skillet over medium heat until lightly golden and fragrant. Toss the thawed Brussels sprouts in the olive oil before popping into the oven for 15 to 20 minutes. Once they start turning golden, remove and add the 1/2 cup of fresh cranberries. Return the pan to the oven and continue to roast for 5 to 8 additional minutes. When the berries start to pop, pull them out of the oven. 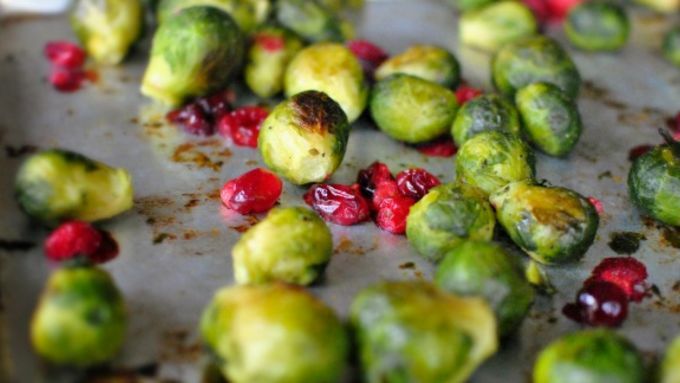 Remove the roasted Brussels sprouts and cranberries with a spatula, and transfer them to a bowl. Add the toasted pecans. In a small bowl, combine the maple syrup, balsamic vinegar and vanilla. 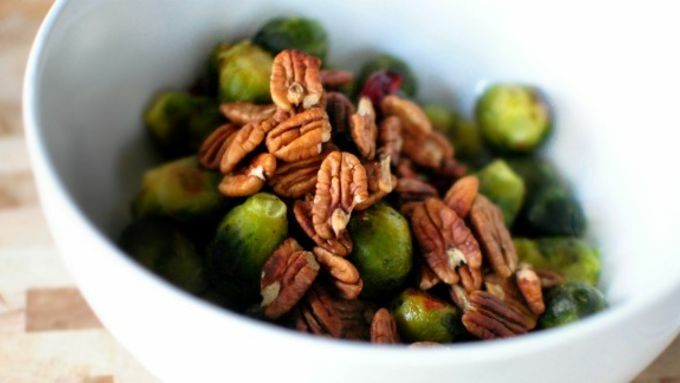 Whisk to combine and pour over the sprouts and pecans. Toss to coat. Taste and season with salt and black pepper if needed. Looking for the perfect veggie side dish for the holidays? 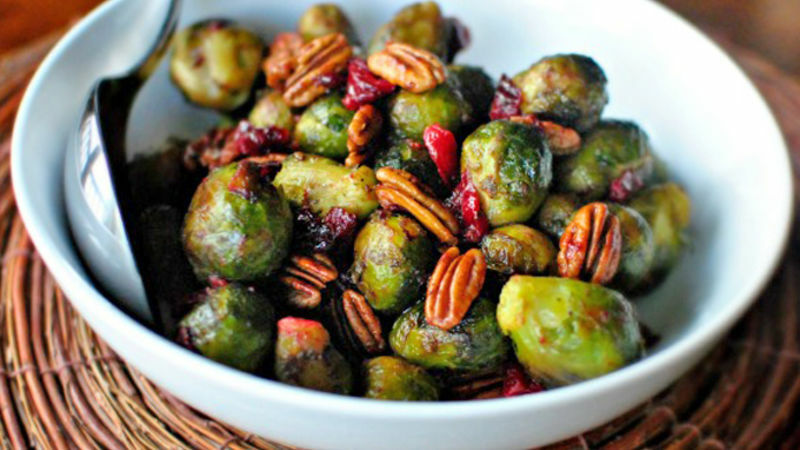 Try Roasted Brussels Sprouts with Cranberries and Pecans! Brussels sprouts work with just about everything. They taste great covered with melted cheese, or pan-fried with bacon and onions. 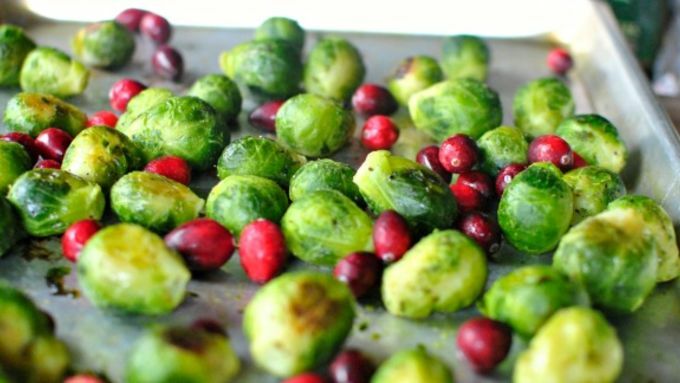 But since Brussels sprouts always come into season around the same time as cranberries, why not pair these two together, and roast them? Now, maybe you swore off Brussels sprouts as a kid, but as an adult, you've come around to realize that they're pretty amazing. Well, this dish highlights the perfect match of sweet and savory that grown-up you will love. Not only do the cranberries bring a sweet tartness to the whole dish, but they add the splash of color that makes this dish pop. Plus, the colors are perfect for a holiday meal! Sweet, tart and delicious. 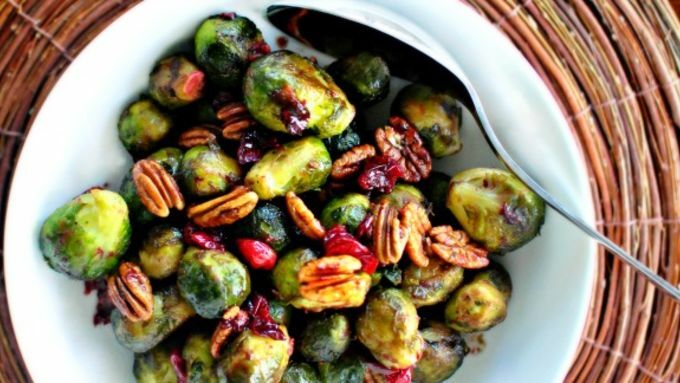 You'll absolutely fall in love with this perfect Brussels sprouts dish.